Smith Media Fusion designs, develops, hosts and promotes websites for small and medium sized businesses. We develop websites with the end user and the business owner in mind. We take your existing marketing collateral (logo, brochures,etc.) and turn them into easy to use websites. The websites we build all come with our proprietary website editing tool, which puts the business owner in control of his/her own website. Not into do-it-yourself? We can design and manage your site for you. Plus, you can start with an inexpensive site and add additional features later. 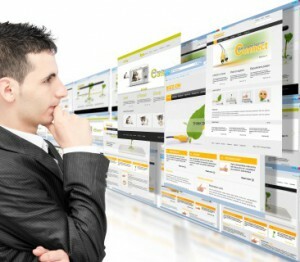 *Add on modules, such as shopping carts and search engine optimization available at an additional cost. The pricing below does not include design services, which are an essential part of your website. Whether you want a complete customized site design or just a few professional looking header images, we have the tools and skills to put your site over the top. Ultra IS Basic: The perfect starter web application. Home page and up to six main pages. Scrolling flash text available in header image area. Ultra IS Professional: A powerful website application. Ultra IS Association: Ultimate application for association with a flexible platform that allows for multiple administrative users. Personalized broadcast email and newsletter system.